Stand out to your referring dentists. Power your staff to serve your patients better. Dental EMR is a complete Endodontic Dental Practice Management Solution designed specifically to help Endodontists succeed. Cloud-Based. Web accessible. No server. More secure. Multi-location ready. Made by endodontists. You want to build success and stand out. We can help. Will they continue choosing you? General dentists have a choice when referring patients. Things they consider: Will the benefits outweigh the disruption to my practice and the patient? How will the patient's continuity of care be impacted if I refer? Will the patient's experience with the specialist reflect well on my practice? And how easy will it be to coordinate care with them? To thrive as a business you need to do more than maintain the status quo. You need to stand out. Otherwise someone else will. ...you want it to be easy for referring dentists to send you patients, and for you to keep them updated. ...you want to provide outstanding patient experience. ...you want to stand out from the competition. Dental EMR gives you the edge. We help small to medium size dental practices like yours stand out to their referring general dentists, provide more care and attention to their patients, focus more on success and less on overhead activities, and stay ahead of industry high tech trends to help maintain their competitive edge. We've also helped new practices get set up for success right from the start with customized pricing, recommendations for marketing and SEO services that fit, insights into establishing an effective online reputation, and others. 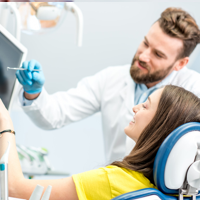 Our cloud based, paperless, secure endodontic dental practice management software, integrated training, and customer success services are a complete endodontic solution designed to help your practice succeed with your referring dentists and the patients they refer to you. Designed to help your practice thrive. 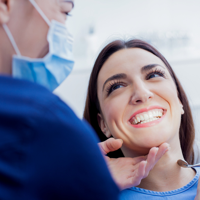 1We help you provide more value to general dentists and make it easier for them to refer to you. 2We help your staff provide a better experience to your patients. 3We relieve IT and HIPAA-compliance cost, complexity and headaches. 4We keep you in front of high tech trends so your practice stays ahead of the competition. We believe we're the partner you've been looking for. Free your practice to thrive. © 2019 Dental EMR, Inc.